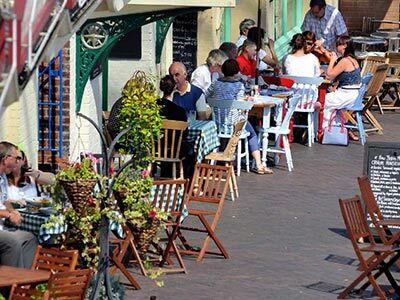 Our Thai restaurant has views overlooking Ramsgate marina and harbour. A dining concept serving traditional and contemporary Thai cuisine, maintaining the authentic flavours of Thai culinary excellence. Our restaurant has a reputation as being one of Kent's finest family run restaurants. At the Thai Orchid we offer excellent quality food, you'll receive friendly service in a warm family environment. All food is freshly prepared by our Thai chef - giving an authentic flavour to all our meals. Our customers return time-after-time having enjoyed homemade food cooked to authentic Thai recipes. The restaurant has seating for 24 diners during the winter months but in summer this doubles to 48, the additional tables are under a glass canopy complete with awnings and heaters. 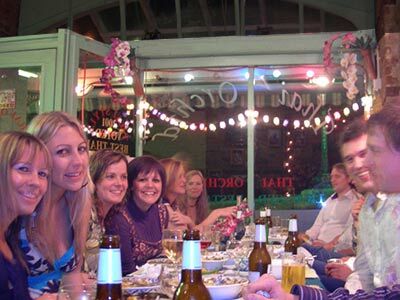 We also cater for larger parties of up to 20 diners for birthdays, office parties etc., price is around £19 per person. We are fully licensed and serve Thai and European beer together with a range of red, white and rosé wines plus champagne. We are located overlooking Ramsgate's Royal Harbour - One of the finest views in Kent! When the sun is shining, there are few better places to be than here in Ramsgate. We serve lunch from 12:00 noon until 2:30pm. The Thai Orchid has proven on many occasions to be the best Thai restaurant in Ramsgate for authentic and freshly cooked food prepared by a real Thai chef. For birthday parties, anniversaries and special occasions, at Thai Orchid we are always happy to help. We offer a range of options to suit numbers, tastes and budget.